Yesterday morning, I made a 30-minute appointment at the Apple store for a “fitting” of the Apple Watch Edition—a gadget which starts at £8,000. I could never afford one, much less the £12,000 watch I actually tried. Apple didn’t seem to mind. From the beginning, I found myself surprisingly uneasy about walking into a store and pretending I could afford such a thing. These are devices that Apple designed for the very, very wealthy. Each face of the watch is CNC milled out of a solid block of 18k yellow or rose gold with molecular properties that are proprietary to Apple. Even the pin you clasp on the back of your wrist is made of 18k gold. It’s a little unnerving. The process of trying one on is carefully coordinated over a 30 minute window, in which you’re taken to a special area of the store, away from the chaos. And even though I knew I shouldn’t care, I felt like Happy Gilmore walking onto the putting green wearing a Bruins jersey and food-stained tracksuit bottoms when I approached the Apple greeter. But as it turned out, that didn’t really matter. Rather than pretend I had £10 grand to throw around, I had decided to be honest about the fact that I had no intention of buying an Edition. When I did, the employees seemed perfectly ok with it. 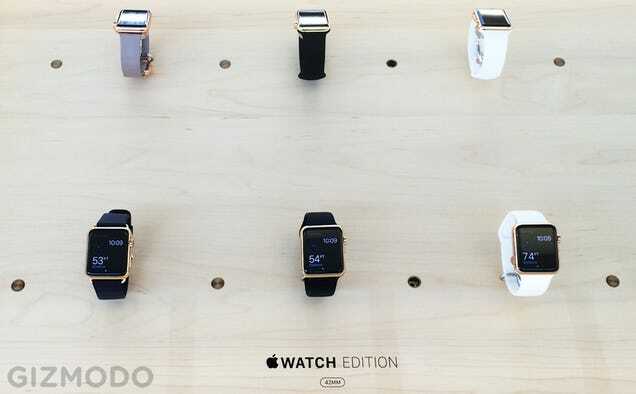 I was asked to stand near the tables where dozens of Apple Watches were lined up under glass, rotating through an ad hoc demo reel of different features. Buzzing around these tables were people who had reserved “fittings” of the regular Watch (made of steel) or the aluminium Watch Sport. 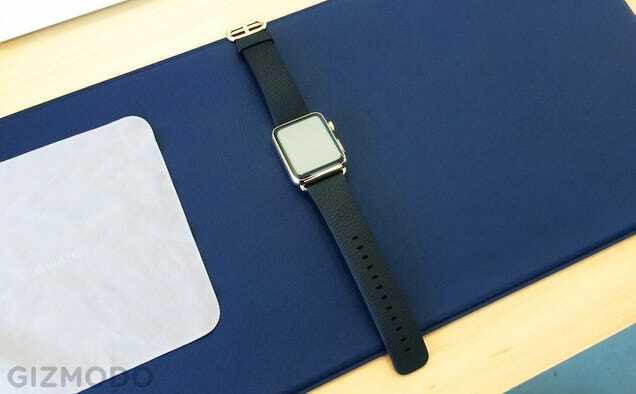 Apple Store employees would take out the watch that the customer asked for—careful to polish its screen and case with a microsuede towel—and let them try any number of different band options. After a few minutes, I was introduced to the very kind employee who would be showing me the Edition. He led me over to a secluded area of the store near the laptops, where a special station had been set up for these appointments. There, a Watch screen hooked up to an iPad walked me through different features—they didn’t just hand me one. I was invited to pick out which version I wanted to try on a neighbouring laptop. I chose the large 42mm 18-karat yellow gold case with a black leather band and a classic buckle, which retails for £12,000. That’s when I noticed a guy in a polo shirt emblazoned with a private security firm’s logo standing behind us, who I learned would be responsible for retrieving the appropriate watch and returning it after I was done. My Watch appeared, and my guide took it out of its leather box, inviting me to take as many pictures and videos as I wanted. Then, he carefully put it on my wrist himself—part of protocol. At first, I felt weird gawking at the ridiculous chunk of precious metal and circuitry strapped to my wrist while snapping shots, but he was encouraging and not at all condescending about it. Perhaps that’s because there wasn’t much to actually do with the Apple Watch Edition except ooh and ahh about the glorious fit and finish of the device. 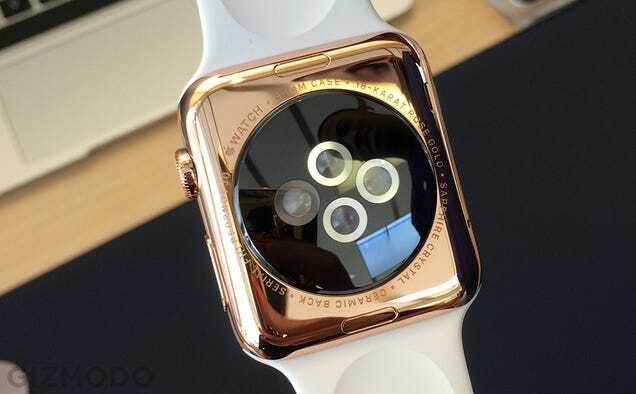 Given how dependent it is on you and your contacts it was tough to get a sense of some of the watch’s features, or get a realistic look at how this thing truly functions in tandem with an iPhone. The watches ran demo loops which cycled through a number of the different screens where you could interact with some of the features. Not everything was functional but feeling the Taptic Engine recreate a heartbeat against my wrist was pretty fascinating. The entire “fitting” experience is just that: An experience. 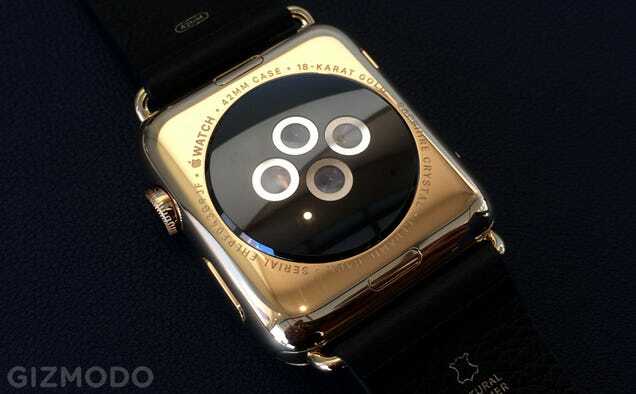 It’s Apple’s Haute Couture, and it doesn’t have quite as much to do with the innards of the watch at this point. I know what the surprising weight of the Apple Watch Edition feels like on my wrist, and I know what the soft silicone band looks like against my pasty skin. But I still don’t know what it’s like to use it. After a few minutes of fiddling, I took the watch off. My patient guide told me that I still had 15 minutes left in my appointment, so why not try another version? 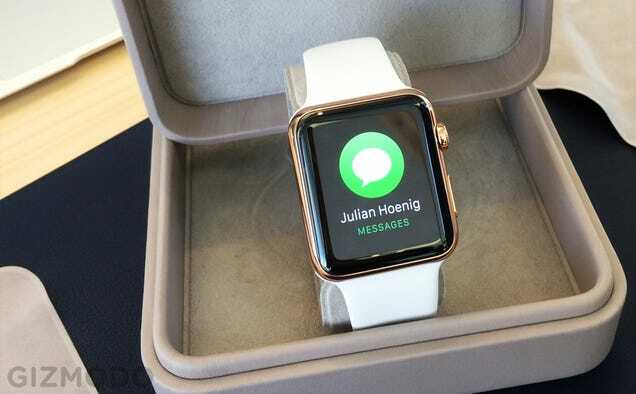 The rose gold with a classic white Sport band, starting at £9,500, maybe? So out went the security guard and back he came with another treasure box. By the time we were finished, Apple had spent 30 minutes of several employees’ time showing me a product I could never afford. But there has to be a reason why anyone—anyone! 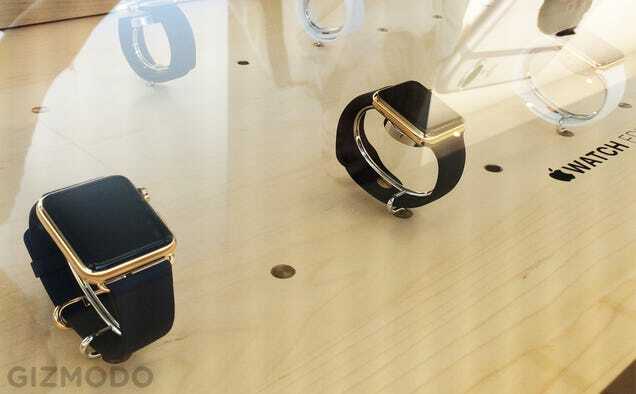 even me!—can walk into one of Apple’s stores and try on a £12k watch. 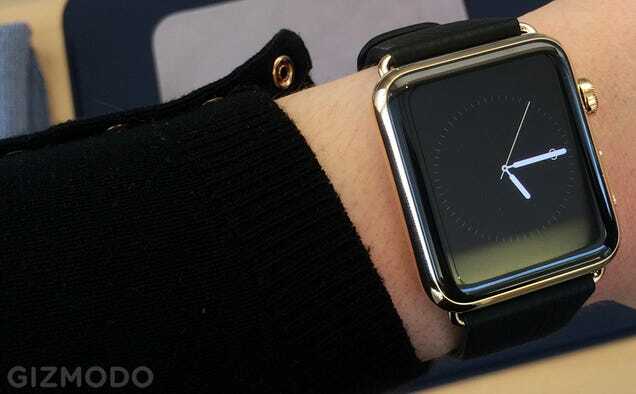 Here’s what occurs to me: by putting it on wrists, regardless if those wrists are able to fork over the cash, the Edition is helping Apple sell its less expensive little brothers. Take the Burj Khalifa: A wildly expensive loss leader that helped stimulate sales of the more affordable neighbourhood that surrounds it. Very few people could afford to live in the Burj. Many more can afford a view. Likewise, very few people can afford a gold Edition, but they might end up taking home a consolation prize in the form of a Sport made of aluminium. Or maybe they’ll just help boost hype with an Instagram pic or a blog post about how accessible and unpretentious the Apple Store is about its most expensive product. In this sense, these “fittings” give us a look at what Apple might try to accomplish now that existing products like the iPhone are taken for granted. Selling a watch is considerably more difficult than selling a phone—not everyone wants or needs one, and even fewer are willing to stand in line for a tiny box that looks identical to millions of others. By turning a trip to the Apple Store into an aspirational experience where you can literally touch the upper echelon of luxury technology, Apple is venturing into new territory to sell its riskiest product release yet. 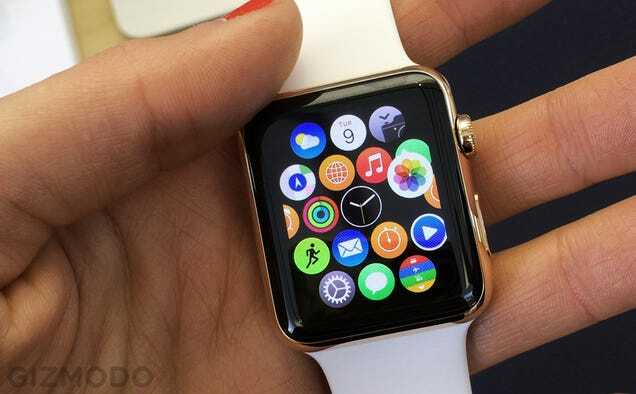 Will it get people to buy watches? Go get a fitting yourself, and see if you like how you look. But don’t worry about getting all dressed up.